The raising of 'le grand chapiteau' - Photo credit: Matt Beard. 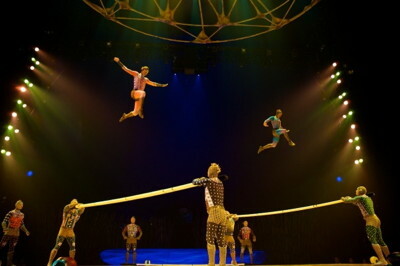 “Russian Bars” — A gravity-defying team of ten acrobats bounces on flexible planks to execute leaps, somersaults and high tumbles while catapulting through the air. The internationally renowned troupe Cirque du Soleil has a dazzling new show, TOTEM, which has just opened in ‘le grand chapiteau’ (the big top tent). 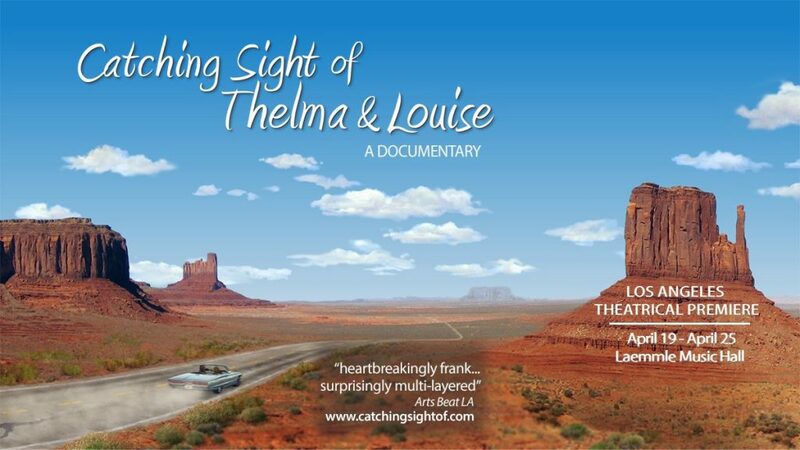 Now residing by the Santa Monica Pier, this is the third and final leg of its Southern Cali tour, currently performing through Sunday, March 16, 2014. Stunning spectacle, breathtaking artistry, effortless grace and elegance—Cirque du Soleil’s has done it again. Their dazzling, gasp-inducing production Totem provides all the acrobatic mastery and dramatic wizardry that audiences have come to expect. The troupe is an assemblage of some world-class performers who perform mind-boggling feats of strength and agility with balancing and death defying trapeze stunts as well as some clown antics for light comic relief. Written and directed by Robert Lepage, the visually breathtaking production employs gorgeous, high-tech staging, kaleidoscopic costumes and dreamy video effects to present a fascinating journey that traces the evolution of mankind. We see all sorts of creatures such as lizards that evolve into amphibians and later to chimps, eventually realizing the ultimate desire to fly. There is also a Native American theme in the shape of musicians and hoop performers as well as a pair of rollerskaters, Massimiliano Medini and Denise Garcia-Sorta, who perform amazing feats while whizzing around on a small round drum platform. About the show: Written and directed by world-renown multidisciplinary artist Robert Lepage, TOTEM traces the fascinating journey of the human species from its original amphibian state to its ultimate desire to fly. The characters evolve on a stage evoking a giant turtle, the symbol of origin for many ancient civilizations. The cast of TOTEM comprises 47 artists from 15 countries— Belarus, Canada, China, Finland, France, Germany, Italy, Japan, Moldova, Mongolia, Russia, Spain, Ukraine, The United Kingdom and The United States of America. The crew is composed of 73 supporting staff members and technicians. The employees represent 9 countries—Australia, Canada, China, France, New Zealand, Russia, Switzerland, The United Kingdom and The United States of America. The pervasive theme of romance sweetens the ‘evolution’ storyline. Guilhelm Cauchois and Sarah Tessier are yellow-clad lovebirds suspended from the trapeze demonstrate a playful and cute game while defying gravity. One of my favorite acts involved a quintet of women (Bai Xiangjie, Su Rina, Wang Xue, Yang Jie and Zhang Jie) all smiling and balancing on unicycles throughout their performance, tossing and kicking little metal bowls high into the air and having them land on each other’s heads with astounding accuracy and precision. Twins from Ukraine—Marina and Svetlana Tsodikova—manage to balance and twirl large fabric pieces on their outstretched feet and hands. For the spectacular act entitled “Russian Bars,” a gravity-defying team of ten acrobats bounces on flexible planks to execute leaps, somersaults and high tumbles while catapulting through the air. Wearing colorful costumes inspired in part by the lost civilizations of South America, ten artists perform feats of strength, balance and acrobatic movements. The jumpers are launched into the air and fly weightlessly across the sky like cosmonauts, leaping from one bar to the next with astonishing agility in a thrilling evocation of the human desire to escape the Earth’s gravity. The raising of ‘le grand chapiteau’ – Photo credit: Matt Beard. Totem is a spectacular show that should not be missed! 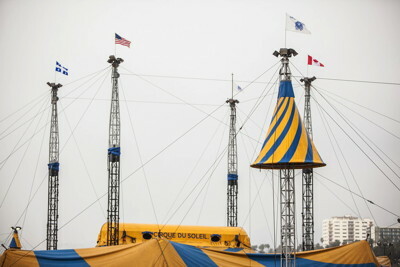 TOTEM is currently performing through Sunday, March 16, 2014 under the blue-and-yellow big top at the Santa Monica Pier. 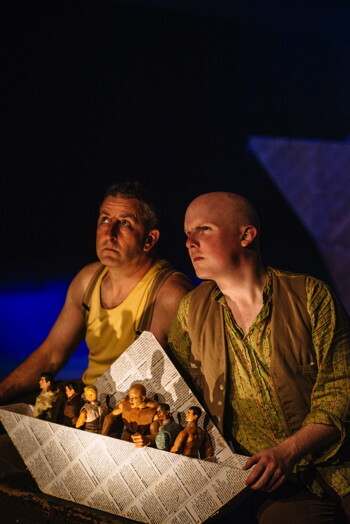 Tickets for all TOTEM performances are available online here. From a group of 20 street performers at its beginnings in 1984, Cirque du Soleil is now a major Quebec-based organization providing high-quality artistic entertainment. The company has 5,000 employees, including more than 1,500 performing artists from close to 50 different countries. Cirque du Soleil has brought wonder and delight to more than 100 million spectators in nearly 300 cities on six continents. For more information, visit their official site. Cirque du Soleil gratefully acknowledges the official sponsors of the TOTEM Southern California tour: Infiniti, CGI, XEROX, and its presenting sponsor Visa Signature in partnership with Wells Fargo. 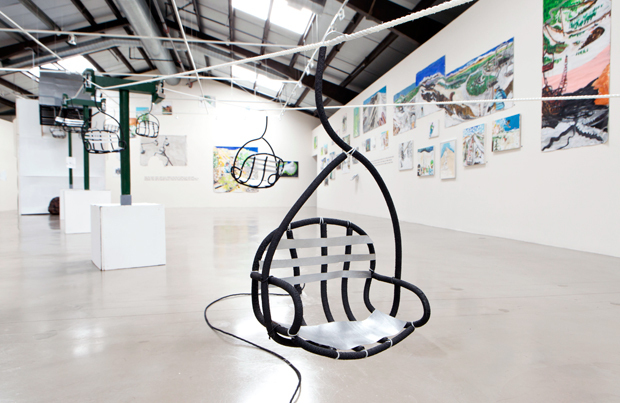 The Orchid W-chair is truly gorgeous. Its too nice. I think it can make a new charm in home.